Mary Callaway was born on the Naval Base in Norfolk, Virginia, however most of her life has been spent in Florida. 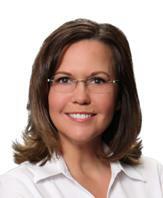 Mary has lived in the Central Florida area almost 30 years, as such she has a thorough knowledge of the area. Mary has worked in marketing and education which has provided a keen real estate insight allowing her to bring buyers and sellers together by understanding all aspects of the business. She has been happily married for 28 years and has two awesome sons. Spending time with family and friends is key to life’s balance. Mary Callaway: “Some things just seem to come naturally. That’s a truth that can also be applied to my career as a real estate professional serving Central Florida. After successful careers in the business world, including my work in marketing, and as a teacher and office manager, working in the real estate industry seemed like a natural transition. I love working with people and the real estate market provides me the link to achieve client objectives. Committed to integrity, knowledge, honesty, hard work and strong accountability to my clients are crucial to finding a perfect fit. Whether you are a first time buyer, an investor, or looking to relocate to Florida, my principals are firm. When it comes to buying and selling real estate, the knowledge and experience of a professional can make all the difference. Since starting my real estate career in 2009, I have continually strived to further enhance my knowledge, with continuing education classes and earning my GRI certificate. As part of the Yao Team you can expect a culture of exceptionalism and consulting committed to innovation and professionalism.